Every single person on this planet aspires for flawless skin. 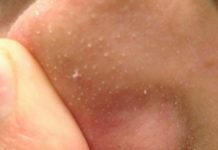 But, owing to the kind of hectic lifestyle that we lead, it is not surprising that achieving that is bit of a farfetched dream, especially if you are someone with dry skin. Finding the best concealer for dry skin is often hard because not every formulation is going to suit your skin type. Still wondering which concealer will work the best for you? In this article, we are going to share the best under eye concealer for dry skin that will not just cover those pesky dark circles but also help you achieve a flawless skin finish. What’s The Best Concealer For Dry Skin? When it comes to covering the imperfections for someone with dry skin, the process is extensive. Not only do you need to moisturize your skin plenty, there are still possibilities that the concealer and foundation might crack through. Finding hydration concealer for dry skin is quite the task. Majority of the concealer are meant for oily or combination skin which is definitely not something that works best for someone with dry skin. Choosing the best concealer for dry skin is a work in itself. While the cream concealer do work amazingly, there are a few downsides to it as well. They tend to settle into the creases of the undereyes and the other parts of the skin, making it look cakey. Liquid concealer products are a good option too but if you struggled with dry skin, try avoiding the powder concealer because they will end up doing no good to your already matte skin. In this section of the article, we are going to be discussing about the various concealer for dry skin under eyes. Let’s roll on with it, shall we? The Mac studio finish concealer is actually an amazing concealer for dry skin. The best thing about this concealer is the fact that it applies flawlessly and doesn’t hold on to the pores. It is also loaded with SPF-35 which further prevents any kind of darkening of the under eyes than it already is. It is a full coverage formulation and comes in several shades. Sisley has time and time produced products that have left their customers baffled. The Sisley Eye Concealer with Botanical Extracts is definitely one of those products that leave your under eyes looking alive and refreshed. Without a shadow of doubt, the moisturizing formulation of this under eye concealer for dry skin gives you a natural look. The product has multiple benefits. It colour corrects, de-puffs and rejuvenates the under eyes effectively. The COVERGIRL Smoothers Moisturizing Concealer is definitely one of the best drugstore concealer for dry skin. The formulation is boosted with natural ingredients which help rejuvenate the skin from within. Not only is the formula hydrating and moisturizing, the natural ingredients suit the dry skin very effectively. It contains chamomile which soothes the under eyes. The ginseng in it helps brighten the under eyes. The combination of Vitamin C and E help ward off any possible signs of aging and the squalene is what moisturizes the dry skin. The Glossier Stretch Concealer is yet another one of the best concealer for dry skin. The creamy formulation is not just lightweight but has a very seamless application which is amazing for someone who struggled with dry under eyes. The presence of the elastic micro-waxes ensures that the product doesn’t settle into the skin. The formulation is loaded with oil which moisturizes the under eyes and provides with a dewy finish to the skin. Provides with a natural finish look and is buildable. It comes with multiple shades suited for all skin tones. Laura Mercier is known for their amazing range of complexion products and the Laura Mercier Flawless Fusion Ultra-Longwear Concealer is definitely one of the best in the list. The hydrating formula along with the lightweight application of this concealer makes it look like nothing is applied on the under eyes. The product doesn’t easily crack or settle into the pores which are pretty amazing. The other thing is the fact that it is transfer proof and water resistant as well. It also comes in multiple shades. The Estee Lauder Double Wear Stay-in-Place Flawless Wear Concealer is a good concealer for dry skin, mainly because of the moisturizing formulation of the concealer. Not just that, it also has a good coverage which makes it one of the best products you can opt for. Even though the product is oil free, it does contain moisturizing properties which makes it one of the best for dry skin. The crème formulation blends like a dream and stays in place all throughout the day. The Nars Radiant Creamy Concealer is believed to be one of the best drugstore concealer for dry skin. Not just because of the amazing formula but the overall shade range is also what entices majority of the consumers. The formulation is quite creamy and helps in hydrating the under eyes and conceals any kind of dark circles or puffiness. It also has a buildable formulation which further helps in giving you the desired coverage that you are going for. The Revlon PhotoReady Concealer is perfect for someone who needs a burst of refreshed look after a tiring and stressful night with lack of sleep. The cream formulation of this stick concealer is quite amazing in hiding and concealing the dark circles and making the under eyes look rejuvenated. It also contains SPF which further shields your skin from the harmful rays of the sun. The angled tip of the concealer further allows smooth application. The concealer comes in 6 shades and has a buildable formulation. The Bobbi Brown’s Creamy Concealer Kit is perfect for someone who needs to get their makeup done on the go. The kit comes with a concealer and a setting powder which is perfect if you want to conceal and then touch up the makeup all throughout the day. The formulation is not just hydrating but quite creamy as well which is why it is one of the best concealer for dry skin. Long lasting coverage and very lightweight on the skin. When it comes to the concealer for dry skin, you won’t predominantly hear about RMS beauty because of how underrated the brand is. The RMS Beauty Un Cover-Up Concealer/Foundation is one of the best concealer for dry skin under eyes. The formula is quite creamy which makes the application quite easy and hassle. You can either dab it onto the skin with your fingers or even use a concealer brush for the same. The product blends smoothly and doesn’t leave behind any kind of dry patches which is pretty amazing. It comes in 8 shades to suit every skin tone. The Too Faced Absolutely Flawless Concealer is an absolute favorite when it comes to the best under eyes concealer for dry skin. The main reason behind the same is because of the moisturizing and hydrating formulation of the concealer. It does have a very natural finish on the skin and doesn’t settle into the pores and cracks of the skin. It is also quite long lasting and a buildable coverage. Even though you end up paying a hefty amount for the concealer, the results are worth the price you pay. The Giorgio Armani Beauty High Precision Retouch Concealer is one of the best concealer for dry skin. The concealer is a high coverage formulation but also helps in moisturizing the under eyes and colour correcting the dark circles many witness. The presence of light reflecting pearls in the formula further helps in brightening the under eyes. The cream formula blends very easily and doesn’t appear cakey or bad throughout the day. The Physicians Formula Gentle Cover Concealer Stick is yet another one of the amazing under eye concealer for dry skin. Not only is it fragrance free, it also does contain hypoallergenic skin care ingredients which make it perfect for people with sensitive skin as well. It is perfect for concealing any kind of blemishes and even correct the dark circles under the eyes. Even with the stick formulation, it does blend like a dream and doesn’t crease which is pretty amazing for someone with dry skin. Tarte took the concealer market of 2018 by storm with their amazing formulated concealers and the Tarte Creaseless Concealer is definitely one of them. Loaded with the maracuja oil, this concealer for dry skin is amazing because of its easy blending and long wear. It hydrates the under eyes and smoothes out the fine lines without settling into the skin. The formula is full coverage but is quite lightweight and doesn’t feel like you have put make up on. Makeup forever is known for their inexpensive and amazing formulas when it comes to their complexion products. The Make Up For Ever Full Cover Concealer is not anything different. This specific concealer is known around for its amazing shade range and even more so because of the high coverage formulation it has. The concealer is also long wear and doesn’t settle into the pores which are pretty amazing too. If you are on the lookout for natural concealer for dry skin, the Clove and Hallow Conceal + Correct is actually an amazing option to look into. Not only is the formulation meant for an easy application and smooth finish, the shade range of the product is just as amazing too. The product blends into the skin very easily and doesn’t crease very often. The moisturizing formula is quite amazing for someone who struggles with dry under eyes. It also gives the skin a natural radiant glow. Don’t get deterred by the mention of matte in the product name because the Nars Soft Matte Complete Concealer is anything but drying on the skin. The formula has a velvet finish to it which is perfect for someone who struggles with dry skin, especially dry under eyes. It conceals the dark spots and blemishes and is amazing in brightening up the under eyes to make them look more refreshed. The L’Oreal Paris Cosmetics True Match Super-Blendable Multi-Use Concealer Makeup is one of the best drugstore concealer for dry skin. If you are on the lookout for something that can help you achieve a natural finish to your skin, this is the one. The shade range is spread on to 14 different shades which is pretty amazing. The presence of glycerin in the formula is yet another amazing thing that is perfect for someone with dry under eyes. It hydrates and moisturizes the skin and gets rid of the puffiness around the eyes. Apart from looking for good concealer for dry skin, if you are on the lookout for something to prime your under eyes and eyelids with, the Dior Fix It 2-In-1 Prime & Conceal is an amazing option. The amazing formulation of the product helps conceal the blemishes and doesn’t settle into the deep pores in the skin. It can also be used as a lipstick primer to keep the lipstick in place. Keeping everything aside, the formula is quite hydrating as well which further helps get rid of the fine lines and hydrates the under eyes too. If you have been on the lookout for the best drugstore concealer for dry skin, the Maybelline Instant Age Rewind Eraser Dark Circle Concealer is one of the best. Not only is it inexpensive, the product is known to easily conceal and brighten up the under eyes effectively and that too with one swipe. It doesn’t settle into the pores which makes it creaseless as well. The formula is very creamy and blends quite easily into the skin. When it comes to sourcing good under eye concealer for dry skin, the Chanel Le Correcteur de Chanel Longwear Colour Corrector and Concealer definitely stands out in the crowd. This concealer does have a smooth, creamy and gel like formulation which is perfect for someone struggling with dry under eyes. It provides the skin with a satin smooth finish. Not only does it blend smoothly and easily, it is also long lasting. It provides with a hydrated and de-puffed look under the eyes. Owing to the semi matt formulation, this specific concealer is best suited for someone who struggles with mildly dry skin. The Urban Decay Naked Skin Weightless Complete Coverage Concealer does have a buildable coverage but if you are going for a natural finish, just one swipe of the product is more than enough to conceal all the dark spots and blemishes away. It does have an expressive shade range and blends like butter on the skin. Yet another one of the amazing moisturizing stick concealer is the Bare Minerals BAREPRO 16-Hour Full Coverage Concealer. It is a high coverage concealer which is definitely something that you don’t expect from a stick concealer. The moisturizing formulation of this concealer makes it one of the best under eye concealer for dry skin. It is a long wear concealer and the creamy texture helps blend it into the skin quite smoothly and easily. The It Cosmetics Bye Bye Under Eye Full Coverage Anti-Aging Waterproof Concealer is yet another amazing inexpensive concealer for dry skin. The creamy formula of this concealer is what makes it ideal for people with dry skin. The formula is full coverage and helps get rid of all the dark spots and blemishes and helps even out the skin. The best part of this concealer is the fact that it has a moisturizing effect on the skin which is pretty amazing in smoothening out the creases and fine lines to provide a smooth and natural finish to the skin. It would be a shame if we don’t end the list of the best concealer for dry skin with a drugstore one. The Maybelline New York Fit Me! Concealer is one of the most popular launches of 2018. The product is especially formulated for dry skin, owing to the amazing moisturizing and hydrating ingredients it has in it. This concealer is best for concealing the dark spots and brightening up the high points of the face. It is a long wear concealer and does provide with a very natural finish on the skin. When it comes to selecting the best concealer for dry skin, the options can be a bit confusing. Looking for a hydrating and moisturizing formula is the key in this process. If the concealer is mattifying, chances are that it will make your under eyes look cakey and full of creases. These top 25 concealer can help you amp up your makeup game. Previous article9 Reasons Why Content Writing Is A Good Profession - You Will Love Your Job! Next article12 Fancy Hairstyles For A Heart Shaped Face - Beautiful And Chic To Try On!